In Puerto Rico, athletes are hearing the gospel – some for the very first time – and growing up into leaders who are using their positions to share the hope of Christ with younger athletes. She began attending Athletes in Action Bible studies on her campus and receiving one-on-one training on how to grow in her new faith, over time becoming a leader in the local ministry. 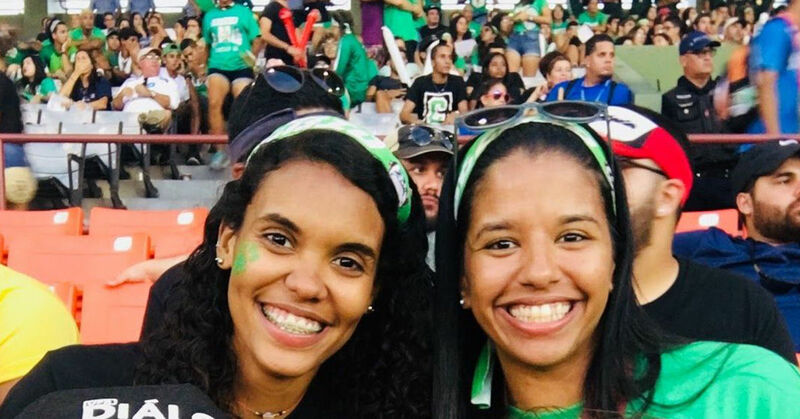 Irtzia is now one of a growing group of athletes working to see the gospel spread across Puerto Rico, just like the team that initially reached out to her. One of these teams, comprised of 30 U.S. athletes and 25 Puerto Rican athletes, led a training camp for high school-aged survivors of Hurricane Maria. There, campers learned biblical principles and how to apply them in sports and life. In addition, the teens visited local college campuses and beaches to initiate spiritual conversations and share the gospel. Thirty people received Christ as a result of their efforts, with countless other seeds planted. How Sports Are Reaching Athletes in Closed Countries!